The Community may also be returning for the miraculous 6th season over the Yahoo Screen, however the news only came in this it will also be devoid of one of study group originals. 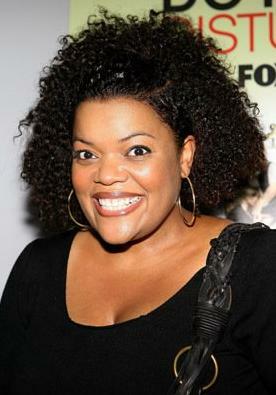 Moreover, the TVGuide.com also reports that the Yvette Nicole Brown, that played the Shirley Bennett at entire 5 seasons that far, will just not be coming again back for the 6th Season. She also has asked to get released from the recent contract for the personal family reasons as well as family producers of Dan Harmon & Chris McKenna that have selected to honor the request. This decision was also made so Brown can even care for her father who is ill. "My dad requires daily and regular care and so he requires me," Brown even informed the TVGuide. "This idea of being far for 16 hours in every day for about 5 months, I just could not do this. It was quite difficult decision to make, however I need to select my dad." The past summer, Brown also was cast on the CBS' upcoming of the Odd Couple that remake starring with Matthew Perry as well as Thomas Lennon, although this is the recurring role as well as the multi-cam schedule of sitcom that is much more and highly flexible as compared to production for the series of single-camera. "The sitcom of multi-camera is the better fit for life that has also now," Said Brown. "I just cannot say adequate that how much I use to respect Sony as well as Dan for that how they had handled the profound change made in the life." The TVGuide even reports that along with the Brown that is leaving as well as Jonathan Banks not coming because of the AMC's Better Call of the Saul, Community is recently casting for the 2 new and latest characters.